Al Pacino takes another turn on the small screen — this time portraying Joe Paterno, the winningest coach in college football history who wound up at the center of sexual abuse scandal. The TV movie Paterno is directed by Barry Levinson and also stars Riley Keough, Annie Parisse and Kathy Baker. 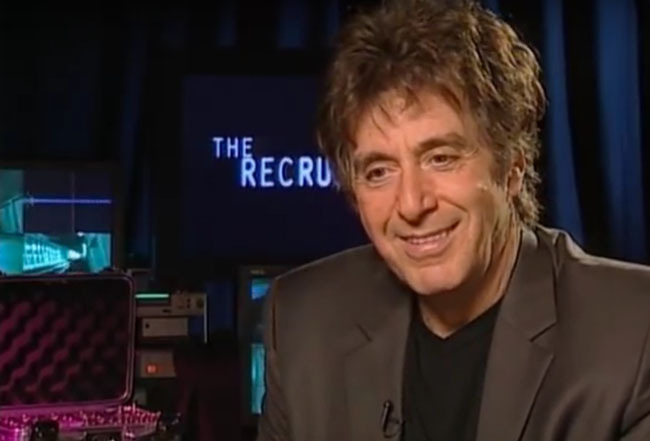 The MediaMine collection features Al Pacino’s interview with celebrity journalist Reba Merrill while he was promoting the 2003 film The Recruit.